Is Vienna sausage the same as a Wiener, or a Frankfurter? The sausage was invented by a butcher from Frankfurt, who had moved to Vienna, which is why in Vienna it’s called a frankfurter, but in Frankfurt it’s called a wiener (Viennese). Frankfurter? Wiener? Vienna sausage? 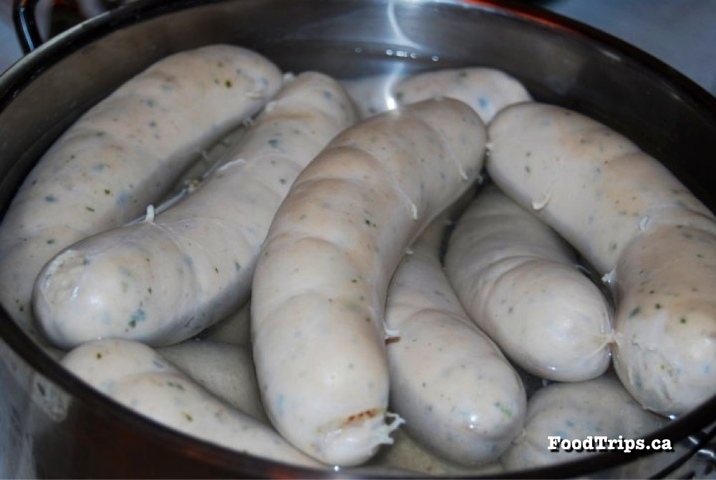 No, they're Bavarian sausages, Münchner Weißwurst! Try to order a frankfurter in Frankfurt, and you’d most likely get a blank stare. But ask for a wiener or a Vienna sausage, and the Frankfurters — the residents, not the sausages — would know what you’re talking about. Meanwhile, do the same in Vienna — ask for a Vienna sausage, instead of a frankfurter and you’d probably hear “was is das?” (what is that?). Yes, it happened to me. Confused yet? Bear with me, as I confuse you even more.